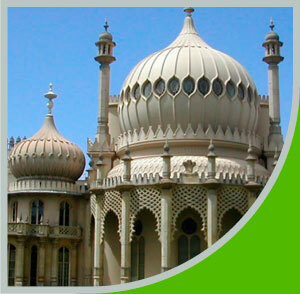 Brighton Royal Pavilion is an iconic Grade I listed landmark building. STRESS (Structural Repairs and Specialist Services Ltd) provided the experienced technical construction team to help with the design and preparation of the structure to apply carbon fibre structural strengthening fabric to the jack arches on either side of cast iron beams, together with reapplication of the render soffit. The precision usage of carbon fibre fabric, laid up into composite plates in this context is thought to be the first application of its type anywhere in the world. Why reinforce the Pavilion with carbon fibre? Fears over the safety of cast iron beams supporting brick jack arch roofs were raised following a recent collapse of a similar structure. Unlike ductile iron, wrought iron and mild steel, grey iron has a brittle mode of failure. The iron would have been cast with the flange uppermost, sand, slag and gas float to the top of the casting weakening the iron. The beam is turned over and used with the flange at the bottom of the beam in the tension zone resulting in a weaker beam. Install secondary beams this would prove invasive, expensive and would alter the unusual profile of the structure. Installation of carbon fibre reinforcement plates attached to beam soffits, this would be expensive and technically demanding due to the coefficient of thermal expansion issues, narrow flange width and would alter the profile of the building. 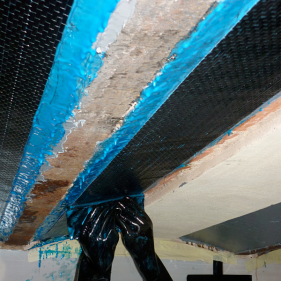 Installation of carbon fibre structural strengthening fabric – composite plates attached to jack arch either side of the beams, this would be economical, durable and would not affect the appearance of the structure. 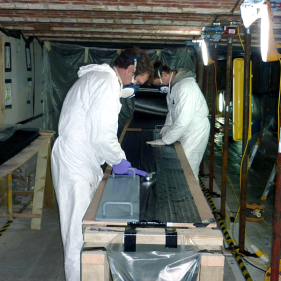 We believe this technique is the first use of composite carbon sheet in a historic building. Woven with single uni-directional strands. 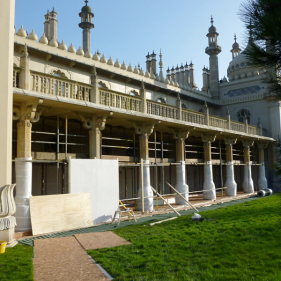 Very high levels of protection were required for this project. Fire control and containment, site security, asset protection and vibration control were integral to the design and built enclosure. 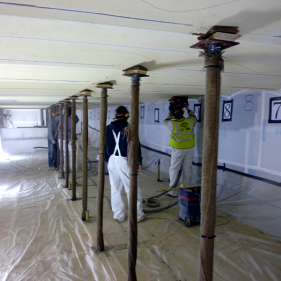 Accurate marking out and total control of dust were requirements throughout the work. 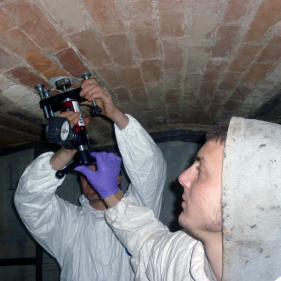 Pull off tests were carried out to determine the tensile strength of the early 19th Century masonry. Unidirectional carbon fibre sheet was precision cut into 200mm wide strips to prescribed lengths in a dust free environment. 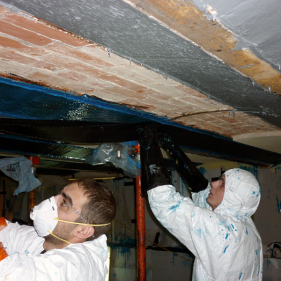 The final total length of sheet applied to the soffit was over 4000 metres. Before the plates could be formed the brick substrate had to be levelled with epoxy mortar. The composite plates were formed in-situ and comprised up to 21 layers of uni-directional carbon fibre sheet impregnated with epoxy resin and built up to form a precisely profiled composite plate either side of the cast iron beams. Each carbon fibre sheet had to have the under layer of epoxy resin squeezed through the fibres to form a homogenous structural element. The maximum interval allowed between the application of each sheet was sixteen hours to ensure that a strong molecular bond between layers was guaranteed. 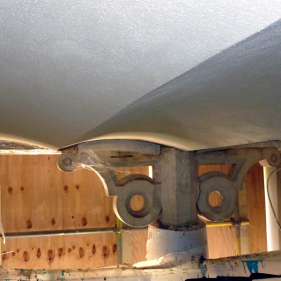 When the carbon fibre strengthening work was completed it was essential to restore the original finishes to the vaulted ceiling to the satisfaction of the client and English Heritage in both terms of finish quality and appearance.